In part 7, I apply Black Metallic spray paint to the Hyperion Gunblade. I discuss painting tips and techniques, bringing the prop one step closer to completion. This video was delayed so long for two reasons; first the video camera broke, it took me a while to find a mini-dv camera I could use in order to digitize the footage I already shot. Secondly, while working to get a camera, the prop itself was damaged, so it took some time to repair it. 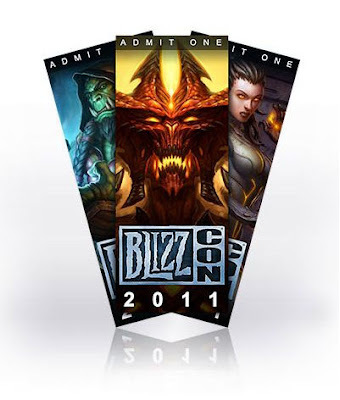 I successfully purchased two tickets to Blizzcon 2011!